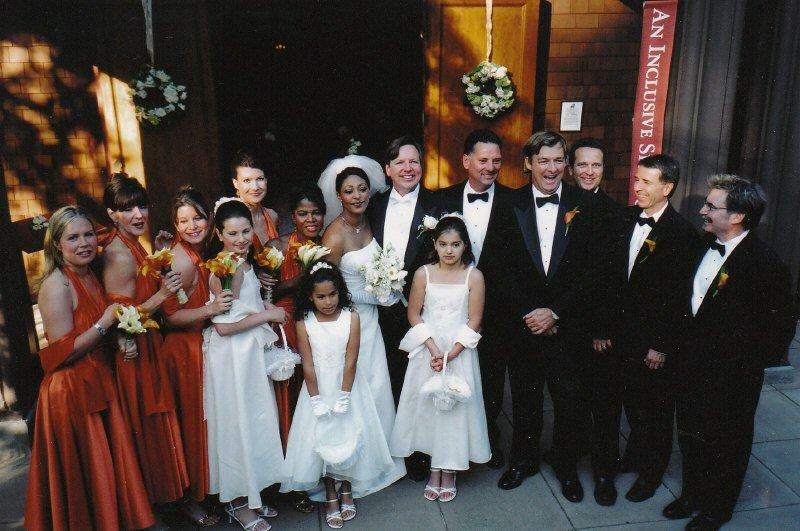 The busiest wedding month at Sausalito Presbyterian Church that I remember was when there were seventeen gorgeous weddings in warm and wonderful September. I have memories of an elegant Sunday afternoon. The stunning bride was born in Ethiopia and works for non-profit Tangible Hope Foundation in Africa empowering young women and families to help break the cycle of poverty. The groom is a successful San Francisco business man. A long time friend and spiritual leader performed the ceremony, and after the vows were repeated, she sang a moving Gospel song. Masses of white flowers filled the church and Grand Ballroom of the San Francisco St. Francis Hotel where guests celebrated at a lavish reception. Lovely word pictures, thanks, Shirley.